What if I speak off topic in IELTS Speaking Part 2? Today is my ielts speaking test. In part 2 I made a mistake. I have been given a topic on the place where you go to read. The answer would be library, but I talked about my aunts home where I used to go for reading. I think its cannot fulfil the question requirements. How will it affect my band? You were asked to talk about the place where YOU go to read. You go to read at your aunt's house. There is nothing wrong with that - your answer is fine. Part 2 is about you choosing what you want to talk about in connection to the topic - there is not a right or wrong answer. So the interviewer asked me to describe a song that reminds me of a particular event from my life. But what ended up happening was me answering something completely different. I forgot about the whole 'my life' part and I answered something about someone else's life. But I consider my speaking ok, fluent. So I was wondering, did anyone encounter the same scenario. If so I would like to know what band score you ended up having. It won't be relevant what score anybody else got in the test. If they got a low score it could be any number of other reasons, not necessarily connected to anything they did in part 2. Remember you are marked on your ability throughout your test, not just on the part 2. Describe an animal you found interesting? They asked me about animal I found interesting but I said about the emu bird. Will I get score for this? I don't think the examiner will worry too much about that. I was asked what was the important thing your family has had a long time. I couldn't catch if it is antique thing so I answered it about our old house. I said we used it 7 years and sold it last year etc. I wonder if it will be evaluated out of topic or is it a right answer? I was asked describe a happy event in your childhood? But i told about adventurous sport event that was conducted in mountains? If your house is old and important, that is fine. If the adventurous sport activity was in your childhood, that is fine. If I encounter a strange topic talking about an event that I've never experienced so far, how can I deal with this? On the other hand, if there are some general topics (a tradition, a law/rule,...), how can I develop my answer with not much idea of them? It should always be a topic that you at least have some kind of experience of. You should always try and ensure your answer is directly related to the topic, but if it's not 100% related for some reason make sure you explain why at the start of your talk. For your ideas you really just have to brainstorm something coherent to say about them. It's unlikely you won't have any ideas as they are very general topics. I was asked about weather that changed my plan but I told her about earthquake. Will she reduce my score? I was asked about the best event of ur childhood and I am still 16 so I mentioned my grandparents 50th anniversary which I attended 2 years back.. Was it ok or not? Hi, today in ielts speaking part 2 I misunderstood the question and described something totally different than I've been asked which was the "describe a public place". I told about the Borough Market without breathing but unfortunately i realised that it s totally a private place :( will this cost me too much? In IELTS speaking test Part 2, I was asked to talk about a incident when I shared something with someone and it's impact. I considered "sharing" as sharing a feeling and I ended up answering in the same way. But after coming out of test center I realized that it could be sharing a thing etc, I should have got a clarification from examiner. So somehow I feel I dint take up relevant example! Your grandparents anniversary when you were 14 is fine. That is your childhood. You were asked to describe a public place - a market is public (anyone can go there) so that is fine. I would need to see the actual full prompt to be sure, but if you were just asked to describe 'sharing something' then your feelings will be fine. You can share your feelings. Are you English? If not, English is a foreign language for you. I have just completed my speaking test. I was asked to talk about using a foreign language but spoke about an indigenous language. Would that affect my scores? Whose indigenous language? You mean your own language? Any language that is not your own native language is foreign. So if you are Japanese and you talked about using English or German, they would both be ok. If you talked about Japanese that is wrong. First part was going good. Then my cue card was mistake u made in your life? It was also going good but in the 3rd part i got confused and i didn't give relevant answer of the qustion. Will it affect my band score??? It's really too difficult to know without hearing your test. Today I had my IELTS speaking exam and the examiner gave me the cue card about what activity you do after end of your school day? But firstly I spoke about the activity which I do in my school hours for about 10 seconds but suddenly I read that they asked me differently so later on I talked about the topic. So it will affect on my bands? As I have said on here several times, you are marked on your skills throughout the whole test, and there are a lot of criteria. So the scoring does not work in a way that it is possible to answer your question properly. One single thing happening briefly in one part of the test does not suddenly bring a band score down. It is more a continuation of something such as poor fluency throughout the test or weak grammar. So that event that you mention in itself is not likely to bring your score down, but if you were continually making mistakes and having to correct yourself then it is likely to affect it. But we have no idea how you did over the whole test. That is what is important. My topic was a piece of equipment that you have in your home but I spoke about the table clothes. Will it put more impact on my bands? You are judged on your performance over the whole test so it's really not possible to say how one section may affect your score. Obviously a table cloth is not 'equipment' but it is something in your home so it may not be viewed as that off topic. But anyway, you are marked on other things, not just the topic - grammar, vocab, coherence, so it's really too difficult to make any predictions about your score. I forget to answer the given question but completed my quota of 2 min and mostly stick with my topic. How much will it impact my score? i gave my speaking test today. I was very nervous, that is why I went off topic on my task 3. However, I couldn't understand questions that i was asked. Will that affect on my band score..?? Today was my speaking test..every thing was fine except cue card..MY topic was " Any interesting place that you like, is open to public"..and i explained about educational organization e.g. university...What could be the result? I had my speaking test yesterday. which I have and describe why my parents have had it for a long time for me. I spoke about a purse which my parents bought for me 6 years back and how I used it and its importance to me. And the follow up questions were related to antiques. I'm not sure why you think that would be off topic? It seems to directly answer the topic to me. At part 2 I was asked what skill I learned as a child and I talked a bit about swimming and more about honesty, even though honesty is not a skill. How many points do you think I will lose because of this? The scoring does not work like that. It's not based on points that you lose, it's based on bands and meeting the criteria within those bands. I'd take a look at the IELTS public hand descriptors which you can find if you search online. I took the IELTS Speaking test today. My cue card was describing a journey you have to do often but you don't like it. Instead, I talked about a journey I once took that I didn't like. Not until in the end the examiner reminded me of that did I realize I was off topic. It's really impossible to know without hearing your test. I'd say no because it's still pretty close to the topic. But anyway, as I have said on here, your score is based on your performance over the whole speaking test, so it's impossible to pick out single errors like that and make a prediction about impacts on the score. I gave my IELTS speaking on 18 october, 2016. The topic was Describe a piece of equipment in your home. and the associated question were related to electronic things. So, I spoke on remote control of TV set but when it started my Introduction to topic went a bit long and after speaking few sentences she stopped me (In my view she stopped me before 2 mins). My english was fluent throughout with few mistakes. There were three time when she stopped me in b/w the answer. And two times she read the entire question and just i started speaking she said we will move to next question/section. What do you think? what must be her view regarding my speaking test? I don't really understand what you are saying the examiner did with regards to interrupting you because that does not seem to fit the format of the test (you do the 1-2 minute talk uninterrupted). But anyway, you mention various things that happened, which are a bit confusing. It's really impossible to predict if what you are talking about will have affected your score without hearing what happened. Hello...I was actually given the topic my favourite meal (e.g. dinner or lunch) ... But I ended up saying Chinese meal is my special meal. I covered all their points. But is the answer relevant? I'd really need to see the topic card. According to you it asked about your favourite meal. To me, that would be exactly as you answered. Without seeing the exact wording on the card it's difficult to know if you were on topic or not. I had my speaking test on 8 nov. My part 2 cue card topic was to describe wild animal but I described about dog which is domestic animal.... does it effect my band score? In part 2 of the test I was asked to describe any sports centre where I went for sports activity. And my answer was totally different. I answered that where I did my sports activity is a normal play ground and it is just a left over space and we used to play cricket over there and all. Will I get band score????? Yes you'll get a band score but it's impossible to predict what it might be. Cue card asked me to talk about activities I would like to do at the end of my studies or my work. I have answered that I really love traveling and after finishing my work and my studies I would like travel in other countries etc. As you can understand I thought that I must talk about activities I am going to do when I will finish my university or retired. I was asked to talk about confrontation with a wild animal but I spoke very little about the situation and a bit more about the animal. Will I get less bands? My examiner has also pointed out this problem. I'm a little sceptical. The examiner would not normally give you comments on how well you did. It's difficult to know how good your answer was without hearing your test. Yesterday was my IELTS speaking test and they asked me to speak about a long/short trip you want to make by bicycle/motorbike. And I was very nervous and I spoke about Goa where I want to go for a trip. But I didn't mention about motorbike/bicycle. Generally I said to travel this long distance you can use train and airways. Please suggest me is it effect my score. As I've said here before, it's really difficult to judge without hearing what you actually said. Sound fine to me. Even if it has been turned into a museum it is still a type of accommodation. Hi I just finished my ielts speaking. In part 2 I was asked to talk about an experience that made me laugh but I couldn't think much and made a silly experience in which I couldn't talk much about but I have done quite well in other 2. I had my IELTS speaking test today. I was asked to talk about an important event in history. I ended up talking about My Marriage. I understood it as important event in my past. I am sure I would loose my score. The topic is probably ok but it's impossible to predict speaking scores without listening to the test. How much bands i can score ? I had my exam on 20 January. My cue card was talk about your favourite meal, but I answered it as pizzas and spoke all about it....is it right or wrong? Why do you think it is wrong? Pizzas can be your favourite meal, though it may have meant a time you went for dinner rather than a favourite food. I'd need to see the cue card to know that. But anyway it's impossible to predict scores. The examiner doesn't write scores down that you can see. It may have been timings. I wanted to end an answer with "tech geek" but at that time I was so nervous that I could not remember that and instead I stopped at "tech". And took a pause then again said "tech" and showed expression like answer is over. Then the examiner went on to another question. After that in part 2 I was told to speak on "a country where you would like to go in the future"
So answered that with world tour in different countries with family and so on. My stock of thinking was over and I took halt of 4 to 5 seconds and again spoke up. Then she asked me a follow up question. Other question and answers were like boom back to back good fluency, grammar and all. Due to this mistake could I get less than 6 bands? You can't really pick out small details like you have done and work out how it may have affected your score. You are marked on your performance of several criteria over the whole of the speaking test. Yes you could till get a 6 but it's impossible to know whether you have or not. My name is karthik. I have done my speaking today. In part 2 the cue card given to me is about 'The interesting thing you found in your neighbourhood' and I said about my brother that he is very interesting for me in my neighbourhood...Does it give me a lower score? It's an odd choice, but you were asked to speak about an interesting thing and you said your brother is interesting. So I can't see an issue as you more or less did what the topic asked in your own way. "Describe an important event in history". But I spoke about my sister's marriage that was held last year and I missed it. So that is ok or I will score less because of that? It's probably not exactly what the card was implying you should talk about but you clarified that the wedding was an important event for you and it's in the past (history) so it sounds fine. I was asked about a time where I got good service. I got so disoriented and for some reason, talked about the best advice I've received throughout my life. I don't know why I did that to be honest. But I believe I did well with regards to speaking fluently. It's just the wrong answer that's been bothering me. Would this affect my score a lot? Being completely off topic? As I've said on here it's really difficult to judge the contents or relevance of someone's speaking without hearing the actual test you did, which of course we can't do. So you really just have to wait for your result. I did well in 1st and 3rd part of ielts speaking test but in 2nd part, I think I made a mistake. The question was about the time I spend with young children but I spoke about the time spent with children of my age (18 year old) people. 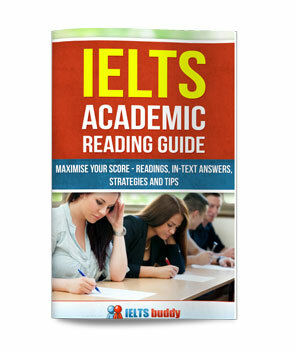 Will it effect the ielts speaking score or not? And how many bands does this mistake decrease? The speaking test isn't graded in that way i.e. a fixed error with a fixed band score decrease. You are marked on many criteria throughout the whole test. As for whether your answer was relevant or not it's really too difficult to say without hearing the test which we can't do. In my IELTS exam I went off-topic. I was asked to talk about a nice neighbour but instead, I talked about a nice neighbourhood. Could you please clarify which one of the 4 marking criteria is affected by this lapse? All I can find online is in relation to the 4 marking criteria: Fluency and Coherence, Lexical Resource, Lexical Resource and Pronunciation. So, I'm not entirely sure if I have any chance of getting the score I need after making this silly mistake. It's probably not exactly what the card was implying you should talk about but you spoke about something in the past (historical) so it sounds fine. Today I was asked to talk about the tallest building which you like most but I talked about a tower instead of building, so how much my bands scores will be effected in section 2 even though I spoke well in both sections 1 and section 3? I'm not really sure what you mean by a tower. That could cover many things and in many cases a tower could be a building, so you may have well been on topic anyway. All questions in my speaking test were somehow strange. I could not answer any of them. In part two the examiner asked me to describe a cafe. In the preparation course they told us to present our language skills, but i ended up using the same words as in the question before. In this question i was asked to describe a mirror. how does that affect the score? And in part 3 i was asked to explain why old people move to rural areas and people are not made for living in big cities. In in the next question about old people I confused old people with adults and said that they don`t want their kids to live in a city. After the interview I realized that maybe old people meant very old people. I´m so worried about the score. Unfortunately you really just need to wait for your result. Without hearing your test it's impossible to know if what you did affected your score. Remember though you are marked for your performance over the whole test, not penalised for errors answering a few questions. Today i had my ielts test. I was asked to describe an important event in history and i went off the track and described about a personal event... how many marks would be deducted? You'll probably be ok. 'Historical event' is quite subjective. If it was an event in your life and it was in the past then it still really fits the topic. Difficult to say through without hearing your full talk though. My cue card was on the topic "Describe an event of history that is important". And I thought 'event' word is related to 'inventions' and I just talked about Newton inventions in history. Is that relevant? And even at that time my mind was off from the path. What would be the bands criterion? It's really too difficult to know without hearing what you actually said. If you spoke about what Newton did and you were referring to the past it may have fitted the topic anyway, but as I say it's difficult to know without hearing it. But either way it's not possible to predict a band score. Remember you are marked on various things, such as your fluency, grammar, pronunciation and lexical resource, and we don't know how you did with any of those. i went off topic today...I didnt notice the cue card question. The question was describe something you acquired without paying on a regular basis. I missed the part "regular basis" and said that I got a phone as a birthday gift. I'm really worried how it could affect my score. I answered pretty well for warm up and discussion part. That seems an odd question. We don't use the words paying for something on a 'regular' basis, so I think it must have said something different or been worded differently. So it's difficult therefore to answer your question. In part 2 i made a mistake. I was given a topic on a product you got for free, I had to speak on a any free gift but I spoke about a book which I borrowed from my friend. How much it will affect? It's always impossible to say if or by how much a score was affected as you are marked on many criteria and we don't know how you did on any of them without hearing your test. And even with your answer it's difficult to know if it was off topic or to what extent without hearing it. You didn't pay for the book so in a way you got it for free even if it was borrowed, so it may well have seemed on topic anyway. 1. When you first heard about that person? 2. What do you know about his/her life before he/she become famous? And third ques i didn't remember. I spoke about mother. Not my mother but mother (in general) and i justified my answer according to the question. And as i was speaking properly, he stopped me on 2nd ques and asked me two or three follow-up question. Will this affect my band score, just because i went out of the topic and didn't speak about any of the famous personalities? It's not really what was expected of the topic but if you linked the fact that you were treating 'mothers' generally has famous then it may have still been on topic or acceptable. It's really difficult to judge without hearing it. If you got stopped and asked follow up questions that just means you reached your 2 minutes. Describe about a drama tv series and there act. I answered that show "nach baliye" having drama as well as dance and then go on. My English was good with fluency but I'm worried that is "nach baliye" right answer?? Will i get marks? My part 1 and 3 were good. There is no 'right answer'. You choose what example you will use. I don't know what "nach baliye" is but if it is a TV drama then that is fine. Hey I was ask to talk about the recent country side I have been to but I started talking about the country I have recently visited what will the examiner mark me on. It's impossible to predict scores. You are marked on many things in the speaking test, not just the appropriateness of your response to the question. I took my exam today. I didn't understand the topic but I spoke something else and part 3 was also relevant with the same topic as I am unfamiliar with the topic. What happens now? I am very disappointed with the it. You are judged on many criteria in the speaking test and the part two is also quite subjective so it's not possible to judge without hearing what you said. I just finished my speaking exam. I was asked in the 2nd part to "describe an English lesson I attended that I enjoyed" and I said that English lesson is about historical places, but in related questions about English teachers I answered correct. Is a lesson about historical places related to the topic "English lesson"? It is if you explained how it helped you learn English. My examiner asked me about which sport you like to watch but i spoke on a cricket match briefly. I was asked about young age but I completely explained about my childhood. Will it effect my score band? Childhood is young age so it sounds on topic to me. In my cue card, they have asked to talk about a park that I have visited when I was a child but I talked about a park that I visited recently. Does it affect my score? It's not possible to relate it to your score because you are marked for many criteria across the whole test. Hi, I was asked about someone you know or heard about in foreign country. I talked about a celebrity from Hollywood. But I actually gave the name of the celebrity wrong but info about him was correct. I remembered the correct name after the test was over. So will it affect my band score for speaking? Something like that won't really matter. It doesn't come into the marking. Respective factly, in 2nd section my topic is on recreational activity and i speak on theatres and in this talk i conclude movie. All can this decrease my bands? i don't know wheter i went off topic or not and will it reduce my mark. I needed to speak about "Describe a leisure activity (cinema, theatre, sports center) that you would like to have in your hometown" and my answer was football. I've chosen to talk about sport.... there are several reasons for that. Firstly, i am interested in it. Secondly, here in my country there are many youngsters who are talented in this field. Also sport is the easiest way to make our country popular. Finally, our weather perfectly suits this sport. Fluency was good enough and vocab also but I don't know about being off topic. No it's not related to the topic properly as you didn't talk about a sports centre, you talked about sport generally. It's really not possible to comment on scores without actually hearing what you said as your score is based on many factors throughout the whole test. In my speaking I was asked to speak on traditional thing made in your country. and i spoke on cars made in my country. so will it affect my score and how much? It does not sound completely on topic as car making is not really a traditional occupation. But it's related as it is something made. Topic given to me was "Your last English Course"
I have a confusion, does this means a course related to English language or any course I have attended in English? Like managements or marketing course that is taught in English. It sounds like it refers to an actual English language course, but it's not likely to matter too much as long as you made it clear that you were going to talk about a course you took that was in English. 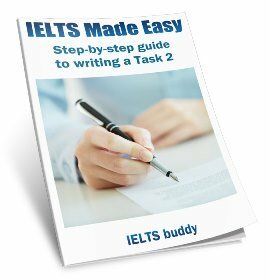 I had ielts recently and I was not able to understand 2-3 questions in part 1 and part 3 and I gave answers as per my understanding. Will it affect my band score? It's not possible to answer that without hearing your test. You are marked on many different criteria throughout the whole test. For task 2, the question was who took a photo for you. But I talked a lot about photos. Will I get a lower mark? What if I speak, it is a very silly question in response to some questions which I speak naturally, is there band deduct? Actually your question is a bit confusing and I don't understand it. I was asked to say about something happened in History. But I said about an incident happened with me in past. Today 3rd March was my exam. Will it affect my score? Pls pls tell me. Am very Scared. It's really impossible to speculate on your speaking test without hearing it and it's impossible to guess how another examiner may have viewed what you said anyway. But the task 2 is quite subjective - you spoke about the past, even if it was about yourself, which in a way is 'history', so in theory you should be ok. But as I say it's impossible to start guessing and in any case you are marked over whole test, not just on that part. You really just have to wait for your result. The examiner asked me about a famous comic actor but i talked about a comic author? How much can I get for this mistake? Please take a look at some of my answers below. It's really impossible to judge it without hearing your test. My cue card was to describe you own want to replace a thing and i told about reservation does it affect my overall band? I really don't understand what you are saying the cue card said. Can u tell me I’m in off topic ?? Topic:- describe a interesting happy moment with friends? But I talked about he help me and than we are happy so this are interesting!!!! So is it true?? I was asked to describe a period in history which has always interested you. And I ended up taking about about an event that happened in a period of my past life time. Is that a major issue or how bad is it? You did misunderstand the question, but really it's impossible to say whether it affected your score or not. Remember most your marks are coming from things like pronunciation, grammar and vocabulary, fluency etc so they are not specifically related to the actual topic. Yesterday in my ielts speaking, in cue card i was asked to say about any part of my country i like and i started talking about a specific city. Later i realized that they were asking about which part i.e. south, north, east and west etc. Does this effect my band score? The topics on the card are quite subjective so it would be difficult to argue that your choice was off topic. The city you spoke of will still be in a part of your country. That is an activity so I'm not sure why you think it's off topic. Today I took speaking test. I totally was off toppuc in part 2 and also I asked examiner twice to repeat questions for me. And at the end I made a long hesitation while answering last question! Im totally disappointed and no motive is left for me to try for the other 3 part. May you please tell me approximately how much would I score for speaking? Part 2, speaking off topic! Hi, yesterday was my speaking test, in part 2, I was supposed to speak about a part of your country you have visited, but I speak about my home town, Is it being off topic? Iperiodn part 2 topic was. Describe a period in history which has always interested you. Unfortunately i spoke about period of history during my schooling... Because part 1 was about schooling and related to history... I did not read question carefully i have made a mistake?? Do you think it will affect on band score.?? However examiner facial feedback was Positive during exam…..
Will my score be affected if I went off topic in IELTS speaking part 2? I did not speak for 2 minutes. I did a mistake in round 2 topic given to me is about article that i read in a magazine. But I told her about article I read on Internet. Will it effect my score. I was fluent during entire exam. But she rephrased her question in part 3. Comments for Will my score be affected if I went off topic in IELTS speaking part 2? As I have said many times on here, it is really not possible to predict how someone's score is affected without actually listening to the test. You are marked holistically over the whole test - there is not one mistake that will suddenly bring your score down. So you will really have to wait for your result. I did the same mistake. Plus i was not fluent. I stopped. Today i had my speaking and i went off to the track in cue card. My topic was talk about a magazine or newspaper article you read, and i explained about a magazine. Even the examiner again gave me finger action on book. Unfortunately i got nervous and spoke about magazines. After the completion of my test he talked me and said u were off track and he gave me many suggestions. You said the topic was to talk about either a newspaper or magazine and you talked about a magazine, so that sounds on-topic to me. But anyway, it's too difficult to predict if your score will be affected in any way if you were off topic. You'll just have to wait for your result. The ability of your speaking is the main thing. Actualy examiner told me after compltition of test that ur topic was on magazine or newspaper article. Article was main but i described magazine with many articles. Hi yesterday ı sat for the ielts speaking part and during the part 2 ı guess that described another issue. she asked me to describe a tv show or something like that however i described a person who acts in this documentary. Please write a comment. It's still connected to TV so you may well be ok.
Hi ...today was my test...I was asked to describe a tall building...I described about India Gate...I later on realised its a monument..though grammatically it was correct...will my band score be affected? No it's not a building but the most important thing for your score is the specific criteria you are marked on e.g. fluency and coherence, grammar, pronunciation and lexis. Your performance in those areas are the key things but we have no idea how you did with regards to those. Hi thank you so much for this helpful thread. I was given a topic today to talk about a time when I laughed. I kept talking but was about to get to the end of the joke, which would have made them understand why was it funny, but examiner asked me to stop as it was over 2 minutes. How will it affect my scores, as the story was incomplete and not funny, without it being completed. You are not scored on how interesting the examiner found your story or whether it made him/her laugh, so it won't affect your score. You are scored on the normal speaking criteria i.e. coherency, fluency, grammar etc. The examiner asked about something help you concentrate in your work or study?? I talk about continual assessment course and covention that really helping me .. is this out of topic totally?? I'm not quite sure what you mean, but if what you said helped you then it's not off topic. It's up to you what you choose. Did I go off topic and how will this affect my IELTS Speaking score? Hi, i had my speaking exam this morning. In task 2 probably i went out of topic. The question was talking about an event that was making me noise. I did not realise at the moment and i spoke about a friend of mine that left the soccer field and then we cannot play football because we were in odd number and we were angry with him. I thought 'noise' like 'nuisance', is it correct or did I go out of topic? If i went out of topic, how can this mistake influence my band? I think part 1 and 3 were okay, with a good pronunciation and fluency. Which is probably my final assessment in speaking? 1) task 1, task 2 and task 3 have the same value? There will be a medium of the three different band? 2) if my band is: listening 5.5, reading 6, writing 6, speaking 5,5. What will be my final score? 5,5 or 6? Comments for Did I go off topic and how will this affect my IELTS Speaking score? As I've said repeatedly in this forum when I get this question, it is impossible to give you an indication of what score you may get - you are graded over the whole speaking test and a mix of criteria. The only way to know how you did would be by listening to your test. And each section does not have a specific or the same 'value'. The test is marked as a whole at the end. Of course if you did badly in one part it will bring your overall score down. For example, someone with weak speaking skills is likely to do worse in part 3 as this is the most difficult. This would of course bring that person's score down. With regards to your part 2 question, "an event that was making me noise" does not really make sense. You must have remembered it incorrectly. The word "Noise" itself has nothing to do with nuisance (though of course noise can be a nuisance). So I really don't know if you were on topic or not. For band scores, they are rounded up for the final scores, so you would get band 6 overall for the example you gave. If I get L:6, R:5, W:6, S:5.5. What band do I get 5.5 or 6? Anyway, I want to know how ielts calculated the band score? It is rounded to the nearest half or whole band. So your score divided by 4 is 5.625. Will my score be effected in part 2? As I've said on here it's always virtually impossible to feedback on someone's speaking without hearing the test, but from what you said it sounds on topic. You talked about skills you learned as a child. Quiz skills are fine if you feel that it taught you something. My cue card topic was describe a leader who you admire in sports business or politics. I said about my PT teacher when i was in school and how they helped me to play cricket and talk related to it. so, how many bands I expect or am I losing band because of this mistake? And my examiner told me after I completed 2minute talk that you spoke about a teacher, not a leader. So will this affect my overall speaking band?? It's not possible to predict scores, but I wouldn't say you were necessarily off topic. The meaning of 'leader' is quite subjective, so it could easily be argued that a teacher you had was a leader. I was said to speak on topic of when you complained about thing and you got a positive result but i spoke off topic and stated a situation when i complained about my sister to my father about high usage of smartphone which was effecting her score. Examiner stopped in just 1 min. I don't know what will happen now. You talked about when you complained and if at the end of that complaint it was a positive result then it is still on topic. How do you know you were stopped after 1 minute? That is very unlikely as the examiner must let you speak until the 2 minutes is up. "What's the indoor games you played as a child"
Yes I have covered all the question but I just forgot she asked me about childhood. I said all the scenario I play that yet and in end I just talked about as a child as well but examiner stopped me I think I one mint can it be affect my band??? "I think I one mint"
But I think you are saying that you only spoke about childhood at the end? And the examiner stopped you after a minute? Firstly, the examiner won't stop you after one minute. Maybe it just seemed that way. As for what you said, it is really difficult to judge what someone did in the speaking without hearing it unfortunately. You say you did speak about childhood so it may be ok.
You will just have to wait for your score, but even if you don't get the score you want, it is unlikely it will be because of the issue you mention in part 2. You are marked over the whole test - you are not suddenly dropped down a score for one error in one part of the test. The marking is more complex than that. - What other people usually do there? Unfortunately, I think I spoke off topic about some things. I mentioned about a hilly region where there is lot of rivers and fresh water source, and people here do cultivation and such, with help of these water sources. But now i think, beaches and other sports activities are the answers to this cue card. Would like to know if this is fine or that I have misunderstood the question? How likely am I to get band 6, considering part 1 and part 3 were fine. There isn't a 'right' or 'wrong' answer as such for the part 2. You are given a fairly broad topic and asked to speak about it. Whoever wrote the question did most probably have some kind of place where people do sports in mind. But you were asked to talk about a place where there is a lot of water, so it is entirely up to you what place with water you decide to talk about. From what you said, it did not specify it has to be somewhere to do with sport. So I would not worry about your choice and it should not affect your band score. Of course it is impossible to predict what your score will be. it is very essential to make it clear that IELTS is basically a test of your proficiency in the English language and not about what is right and what is wrong. So long as you are making correct structures and in your comfort zone when you are speaking nothing is wrong or right, however it is required to be with the topic, answering questions indirectly pointing towards the topic. In this particular topic the examiner wished to know about a place where people gather near water, like lakes, swimming pools, river banks, seashores etc. however this is a much wider concept. i was asked to talk about something i bought and was pleased about it ...and i spoke about something i bought for my mother and was really happy .....is it correct or i went off topic ???? i spoke fluently....did well in part 1 and part 3. You talked about something you bought that you were happy with so it sounds fine. Today was my ielts speaking test and I went off topic. My topic was talk about any equipment that you use at your home and I spoke about a jewelry box. It's definitely not equipment. So will this thing effect my score? It's really too difficult to predict how specific errors may affect a candidates speaking score, if at all. You are marked for your performance over the whole speaking test so you can't really pick out one thing and assess whether it affected the score or not. I wonder if it affects to band score? How many band score may be reduced for going off topic? There is not specific reduction for speaking off topic, you are marked over the whole test on several criteria. But it looks to me like you were on-topic anyway. I assume the famous person you spoke about is popular so you have answered the question properly. I'm not sure what you mean about behaviour. If you can't recall the question properly it's impossible to judge if you answered it or not. Can we ask the examiner to change the speaking topic in the 1-2 minute talk? Is it possible to ask the examiner to change the topic on which candidate has to speak for 1-2 minutes. Comments for Can we ask the examiner to change the speaking topic in the 1-2 minute talk? No, you can't do that. You have to speak about the topic that you are given. An important tip for this is to remember the key thing is that the examiner needs to hear you speaking, so whatever you do don't clam up and speak very little because you don't think you know enough about the topic. You should keep on topic, but you can speak about things related to it as well - you don't just have to stick to the points given on the card. In your preparation time think of some other points related to the topic that are not on the card to ensure you can speak for the full 2 minutes. Hello all, you can't change the topic. You have to speak on the given topic. Yes, you can always correct yourself which has no adverse effect. Please do your home work as you are given one minute to think and use this valuable time, never start your card just in a second or two, it can be marked as crammed a one. Just relax, keep your face smiling, be confident, and don't use flambyount words. Simple structures can make more impression, kiss the success. 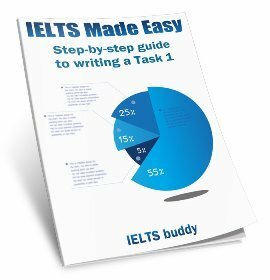 Did I answer my IELTS speaking part 2 correctly? I have just finished my speaking test. For the section 2 I got a subject "you are planing to organize a very first out door activity"
What, where and what equipments etc." I was explaining a birthday party that I'm planing to organize for my friends. I explained that it will be my first out-door activity for my office friends and will be hosted in beach area. Somehow I think I managed to cover all the question until the examiner stopped me. So when I checked internet for the Outdoor activities there are lot relate to win surfing, mountain climbing etc. Further, in 3rd section there were questions about physical fitness. Look forward to hearing your advise on this regard. Comments for Did I answer my IELTS speaking part 2 correctly? Obviously I can't predict what the examiner may do, but I don't think you need to worry. Someone could call a birthday party outside an 'outside activity' so I don't think you would be penalized for it. The important thing will have been your speaking skills when you answered the question. Should I have spoken about different things in the IELTS long-turn? I did my speaking test yesterday, I did very well in section 1 and 3 but my task response for 2 is what I'm not comfortable with. I spoke for a minute and was asked what I do when I want to relax and I mentioned going to the cinema, gym and doing shopping. But I think that's not a good response because there were better options like swimming and listening to music. I was nervous that's why I couldn't give the right options am terribly worried because I'm aiming for a band 7. Pls advice me. Comments for Should I have spoken about different things in the IELTS long-turn? It won't matter that you talked about going to the cinema, gym and doing shopping instead of swimming and listening to music. If you said that is what you like then that is up to you. You can't be given a lower score because the examiner may have thought there were better things to do in your spare time. And how could the examiner know anyway that there were other things you do? You spoke about the topic so that is correct. I had test today... In 2nd part the question was about giving a gift to someone recently... But my mistake I said about a gift I had given in my school days..
You still spoke about giving a gift. Your mistake was quite small so I would not worry about it. As for asking you to stop before two minutes, it is usual to let someone carry on so I can't really explain that. You'll have to wait for your result. Thnak you for your Reply . Looking forward for remaining test now. Today it was my speaking test and I was asked about an event happened in history...I answered about an event happened in my life's history...but I was fluent...will it effect my bands? It's not quite what the question meant but you still talked about an event that is historical so it's probably ok. But as I've said on here before, it's really difficult to comment on test performance without seeing / hearing your test. I was asked to talk about skill that i have learnt. First of all, i spoke to the related topic. In addition, i spoke the skill that i am currently learning. I also talked about the skill that i want to learn in coming days. Is it ok if to talk about present and future though question was about past activity? Yes that's ok if you are still on the general topic. It's sometimes difficult to talk for 2 minutes on only the prompts so if you get through those then you should then make some other points about the topic. That's better than just stopping and saying nothing. I spoke off topic - can I still get band 5? I finished my speaking test today 4th October. Think part 1 and 3 did well. Part 2 they asked me about paid worker but I spoke about servant maid it was totally out of topic. Will I get at least band 5. Really worried. Comments for I spoke off topic - can I still get band 5? It is too difficult to know without hearing your test how off topic you were. Talking about a maid or a paid worker could be similar so you may not have been that off topic. Also, a band 5 is not that high, so even if your part 2 was not that great you could still get a 5. You will really have to wait for your result. My ielts speaking test completed yesterday, in task-2 i misunderstood the topic and i spoke fluently but content of my speech was different,can i still hope to get 6 band in speaking?,my task 1 and task 3 were gone really good. I am only worried about task 2 due to this reason which mention above. As I've said in the speaking forum many times about that question, it's really impossibly to start predicting what scores someone could be getting without hearing it. But yes, if you think you did very well in 1 and 3 but just went a bit off topic in 2 you could still get a 6. You are assessed over the whole test. What's the score dude. I too had the same problem. Plz comment your speaking score. Plzz. Hi, I took the exam recently. I am extremely worried because I need a band 7. The problem is part 2. I was asked about my dream house (what, where, why and something else). I said it would be big and then the location (I can't remember what else I said), but I didn't mention topic vocabulary such as kitchen, rooms, garage, garden... I covered "where" and "why", but the examiner pointed at the card meaning that I should focus on the topic. So I got nervous after that. I think I was really fluent and did not make mistakes. Part 1 was excellent and part 3 just fine. How can this affect the overall? Thanks. If you look at my previous comments you'll see I said it's impossible to predict anyone's score or how it may have been affected. The fact that the examiner was pointing at the card suggests you may have misunderstood the prompt and been talking about the wrong thing, but this is just a guess. You really just need to wait for your result. Today was my speaking my topic was to describe an article you read in a magazine? I first explained which magazine was it and then I told her when I read it but after I think discussed about 2 articles and after the 2nd article I just spoke about the 3rd article for like 2 secs but then she stopped me. What do you think? will that mistake affect my score but yeah it definitely will but will this be considered as a huge mistake? I can only refer you back to my previous comments on something like this that you'll find on this page. My cue card was longest walk u enjoyed ever! "I go for long walk with my friend and sometimes with my mother mainly when I finish my dinner". ...will it be wrong answer? You used the wrong tense if you were meaning to talk about a walk in the past. And if you talked about current walking it's not quite what you were asked on the card. But as I have said before, without hearing your part 2 and the rest of the test it's really impossible to say if anything you did may have had any impact on your score. Hi.....yesterday was my speaking test...my topic was....an article that u read from magazine or newspaper and that u remember....I speak fluently but the mistake was that I speak in present tense...I speak I read it everyday ....my part 1 and part 2 went well....can I get 6 band? Actually I spoke completely off topic in my IELTS exam. I was asked about an occasion when I want to do some thing and the weather stopped me. I didn't understand the statement because I was a bit nervous at that moment. I spoke about my family, they stopped me to attend dancing classes. Well apart from speaking off topic everything was fine, I was quite fluent throughout the test especially in part 1 and 3. I didn't get stuck at all and spoke with grammatical accuracy. Now I am really worried about me bands because my requirement is at least 6.5. Are you saying that your family stopped you attending a dancing class because of the weather? If so that is not off-topic. No, actually I didn't mention the weather at all. I couldn't manage to understand the statement properly. I think the question was about someone stopped me to do a thing which I want to do. I just talk about that I was interested in dance classes but my parents don't want me to attend because they think dancing is very odd thing and not part of our culture. I attended the classes without their permission then after, I realize that I did it wrong. Ok I see. As I have said before though, it's really difficult to give any predictions on speaking scores without hearing your test as you are graded over the whole test not just one part, so unfortunately you will just have to wait for the result. I was asked to talk about a happy moment in my childhood, instead i talked about unhappy memory. How will this affect my speaking score? My ielts speaking test was completed just now but i made an mistake in task 2 the topic was "short journey you don't like" but i end up with joirney i like!! Will i get no score?? Doing one thing wrong doesn't suddenly give you a zero. The test doesn't work like that. You are scored around various factors over the whole speaking test. So really it's not possible to predict if or how it may have impacted on your score. I was asked to talk about something that I have shared with other or someone and my content was related to my feelings and problems which I shared with my mother. Now I am in a dilemma about whether the topic was about any object which I shared or my feelings or emotions. If the card said "something you shared" then it is perfectly ok for your feelings and emotions to be discussed. So based on what you said it is probably ok but I'd need to see the exact wording on the cue card to be sure. In part 2 the question was about outdoor buildings but I completely went off topic on historical buildings ..how much score will I get. It's impossible to predict your score. You are marked on many factors not just the relevance of your response. If it didn't say 'famous' then it wouldn't have to be a famous one. I doubt it did say famous as most people probably don't have a famous river or lake near them. Hello.. Yesterday was my speaking test. I was given the topic 'talk about a clothing item someone gifted you'. I spoke about shoes that I got as a birthday gift. I spoke very fluently and my discussion was also strong but i think i have gone off topic. Please tell me if shoes are a clothing item. Comments for Are shoes clothes? Strictly speaking, clothes aren't shoes. But I really don't think it will matter as they are a kind of clothing accessory. I made a off topic answer for speaking part 2. The examiner asked me about interesting local news, but I answered a national level news. Today was very important test and I am very sad that I missed. I need at least 5.5. Do you think this can strongly affect mu score?? Do you think I can achieve my score if I answered part 1 and 2 well? It's not possible to predict if it affected your score or not, but yes it would still be possible to get 5.5. In speaking section of the IELTS, you are expected to be fluent and ensure that whatever you speak should be audible and understandable to the examiner. Unless you are good at sentence formation, you won't be able to score enough. 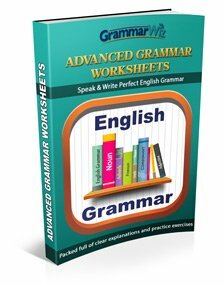 To be specific, if you have spoken confidently without making any grammatical errors, you can easily expect a 5.5 band score, but if you committed more frequent grammatically mistakes, it will be difficult to achieve that score. However, sometimes the examiner looks for the content, especially if you have been asked to answer the direct question. Despite going off the track, it is possible to score more that 6 bands if you have not committed grammar mistakes and used the cohesive devices as well as the good meaningful words. In speaking part 2 it was a question about short journey u disliked and i spoke a short journey i'm disliking to go often. I was good at speaking but this mistake was happened. What will be the effects on band? Your question is not really that clear. It sounds to me like you answered the question. You were asked about a short journey you dislike and that is what you spoke about, you just added that is was one you go on often. Anyway, it is really too difficult to say how someone's score may be affected without hearing the test, and also it is not really possible to predict a score because you are not just graded on part 2, but many other factors. Question was describe a journey u disliked. And I spoke about a journey from my home to my workplace which is 43 km away. And factors why I dislike this journey. So this was out of topic. Why was it out of topic? You were asked to talk about a journey you disliked and you spoke about your journey to work and you said why you don't like it. To me that is on topic. The topics you are asked to talk about are open to a fair bit of subjective interpretation, and if you interpreted it that way I don't see a problem with it. But sir the question was in past tense and I described it in present so that I have doubt. Is that still okay? As I have said before when people ask about the speaking test, it is really impossible to judge any performance or what was right or wrong without hearing your test, which we can't do. If you were asked to describe a journey you made in the past and you described one you do everyday it may not quite fit the card, but it depends how your worded what you said. And it is pretty close to the topic anyway. I wouldn't really worry about it. You are graded on many things throughout test and so I find it unlikely it would affect your overall score. Hi there I finished my ielts speaking test on 14 Aug. In ielts you need to avoid the short answers but I gave the short answer for the very first question and immediately I corrected myself so maximum how much they will cut the marks? On the third part of the test the examiner asks me about how you like to convey the good message to your family members and my answer is I would like to meet them and convey my message. And the second question the examiner asked me in past the people are unable to convey the good news immediately and I told the answer quite opposite from the first one. Is it really important that you need to stick with the one opinion? Firstly the grading of the test does not work like you are thinking. You don't have fixed marks taken away for one 'error'. Check out the IELTS public band descriptors to see how it is graded (you can find them online with a search). But anyway the those things you mentioned in your test are really minor. It's very unlikely that they would have had any impacts on your final score so don't worry about it. Yesterday was my speaking..I was asked about unusual activity I do..but I talked about my writing on my blog..now I fear because it looks like usual activity..
That will be fine. Remember the topics are often quite subjective. The examiner can't make choices as to what is unusual or not then knock your score down - everybody may have a different opinion on that so it would not be fair. I'm sure most people don't write a blog, so it could still be argued it is unusual. I just had my ielts speaking test today and I was asked who is the popular comic actor in your country?, I misunderstood it as comic character actor, so I answered Robert Downey Jr. and talked about him and his character. The conversation went well, however on my way home I just realized I should have answered a comedian. Don't worry about it. The part 2 is very subjective so the examiner can't really disagree with you. Robert Downey Junior has done some comic style roles so you could argue you view him as a comedian. In my speaking exam, my cue card was interesting/unusual thing you did recently. I spoke on donating blood. Is it ok or is it going to cost me? That will be fine. What is interesting or unusual is very subjective so it's up to you what you decide. Hi today is my ielts exam. I was asked about something you shared with the other people as my cue card. I thought that it would be an idea but the follow up questions are about the thing. What will happen? If it said 'something' that is quite unspecific. That could be a 'thing' or an 'idea' so I don't think you need to worry. But really without seeing the actual question or knowing what you actually said it really is impossible to predict how you did. You just need to wait for your result. My cue card was about an appointment I missed. I have never missed an appointment, so no ideas came into my mind. So I talked about how I missed my friend's birthday party a few days ago. And I am not sure if it is an appointment or not. Will my score be low? I think my speaking was fluent and my grammar, vocabulary, pronunciation were all good. Talking about a birthday you missed will probably be fine. Sir.. In my part 2 speaking ..cue card..they asked about jobs you will do in another country for short time.. I talked about how I will go and stay a while and seek help from a native to start a unit of business enterprise. But I should have talked about some part time jobs such as UBER driver pizza delivery and all. How will this deviation affect my overall band? I require 7 in speaking. You talked about working in another country so I'm not sure why you think your answer was off topic. In part 2 I made a mistake. I have been given a topic on sharing something with someone. I talked about my decision to share with my sister which field of study I have to choose in future. I think it cannot fulfil the question requirements. Why do you think it has not fulfilled the requirements? You were asked to talk about something you shared with someone and you shared your thoughts on your future study. I'd need to see the precise cue card to be sure, but from what you have said your answer seems ok. I was thinking after my test that the topic was like that (discuss the sharing of something with someone and then further points with whom you shared and when you shared etc). As I said I would need to see the actual full question to be sure whether talking about sharing thoughts answered the card. I was asked about an interesting neighbour in speaking part 2. But I just explained about one of my neighbour and didn't talk anything about how she is interesting. I am so worried. Do thus effect my band score. Please reply me soon. I think it would be difficult to say you were off topic. You said you spoke about this neighbour. Who is to argue that whatever you did say about them is not the interesting thing? What is classed as 'interesting' is quite subjective. I just finished my speaking test and I'm worrying about one part 1 question which is asking about outside living. I answered it wrong and then the examiner asked me the question again but I didn't understand it again and I gave similar answer. The scoring doesn't work that way i.e. you make one error with one question and then your band is affected. You are graded over the whole speaking test with a number of different criteria being considered. So no, one specific error like that is not going to suddenly affect your band but it may be taken into account along with everything else you did. During my speaking test task 2 topic round I was asked to talk about a country song of my favourite and why do I like it? I answered by saying that I like 'rock a bye baby' and the reason I like it is because of its soothing music and also the meaning of the entire song which takes me back to my baby days. My kids I enjoy that song so much that we play it all nights to listen to it's wonderful background music. It might not be a 100% country song but we could call it a country cousin for sure. Do you think this would make me loose my points? I'm not sure quite sure what you are saying is going to affect your score. You mean because it is not a country song? I wouldn't worry about that. The examiner may not even know the song so they can't really judge if it is country or not. And as you say, it is kind of country anyway. It depends what the topic card said exactly but you say it said "describe about family members that are similar to each other". That does not mention 'looks' so talking about personality such as behaviour is fine. I was asked about what you are waiting to happen, but by mistake I spoke about that what has already happened. Will there be any effect on my band scores? With your question it's really not possible to say without hearing what you actually said so you just need to wait for the result. i did well in 1st and 3rd part of ielts speaking test but in 2nd part,i think i did mistake. question was about the time i spend with young children but i answered about time spend with children of my age(18 year old) people .whether it effect the ielts speaking score or not ? and how many bands do this mistake decrease? If you talk about how someone was shy / introverted that might be quite similar to how someone acts if they are polite. So it may have seemed to be on topic anyway. As I've said, it's not really possible to know how your speaking as overall without hearing your test so you really just need to wait for your result. I did speaking test at 6th March 2017 and has been completely disturbed with my answer on speaking part 2 since then. I was asked about UN-USUAL activity on my free time, yet i misinterpreted it with USUAL, and i ended up speaking about my hobby. I cried out loud after that, how could i be so stupid aaaaaagggg. Please tell me that this is not really a problem as long as you were fluent and have a good pronouncing (my tenses were not so good either). Thanks. As I've said before, it's really too difficult to comment on someone's part 2 and it's relevancy without hearing what you actually said. You really just need to what for your result. My question was..."Talk about the one equipment in your home". But I didn't notice the 'equipment' word and started speaking about my wooden almira. Because I thought the question was talk about one thing in your home which is important for you. So this will effect my band? sir i was given a topic about a situation u saw a wild animal. but in answer whole about wild animal. Is my bands cut down, but during my speaking my examiner stops me. also in dicsusion section 1 answer was not accurate. "but in answer whole about wild animal". topic was wild animal situation. i start with just giving ideas about i saw tiger in zoo and it was loking at me it was scary. just like that and after that explain about tiger and in just 1-2 mins examiner stops me. is my bands cut down for this response? It's really impossible to say without hearing it. The examiner will stop you at 2 minutes because your time is up. IN THE WHOLE TASK I TALKED ABOUT THE MEDICINE THAT I HAVE A INTEREST BECAUSE MY UNCLE HAS A MEDICAL STORE SO I ALWAYS WENT TO HER SHOP AND TAKE INFORMATION ALL ABOUT FROM THEM. CAN I GO OFF TOPIC? Doesn't sound off topic. You were asked to talk about an area of science such as medicine that you are interested in and you talked about medicine. You spoke about a special cake so it seems to me you were on topic. Today I had speaking test, they gave me topic perfect house for Family. While speaking I told them, for me perfect house is not infrastructure or how house looks like, I have explained them how perfect family should be e.g family bounding,spare sometime with each other. Is that fine or is this off topic? Of course it's ok. There are no fixed answers in the speaking test, it's whatever your opinion is. If you think the family makes a perfect house then that is fine. The question on my card was "Describe someone who knows about something". I misread that something to something about me, I started talking on that topic! Is that a flaw? I spoke for more than 2 mins, but will that conversation actually pull my score down? I think you may have remembered the topic incorrectly as describing someone who knows about something sounds too vague to be a topic. But anyway, it's impossible to predict your score without hearing your test. What should i do if I'll be asked a question that I couldn't relate, or something I never experienced before. I was said to lie, but would it be okay to answer the question in a different angle.. like be honest with it, and just defend yourself throughout? Yes, try and take a different angle on it. Don't say you know nothing about it and talk about something completely different but connect it to something you can talk about. It should be related in some way. I was asked to describe about your personal achievement. And i answered by stating that it was not my personal milestone but something I achieved and said about a real story how I helped a guy from Italy who was lost here to return back to Italy. I feel it to be totally irrelevant to the question and I'm afraid to get low band score. If you feel that situation was a personal achievement for you then that is fine. I have had my speaking exam today. In part 2 I was given a cue card "Describe a TV drama series that you enjoy watching". Not knowing what a TV drama series exactly is, I described a comedy series on TV that I used to watch a lot. After part 2 he told me that "I had told you to describe a TV drama series but you described some kind of comedy show" so can you tell me what a TV drama series really is. And if the situation happened with me will affect my score or not. Well, firstly the examiner should not have done that. Even if you speak off topic they shouldn't make a comment about it. But anyway, just because the examiner said that it does not necessarily mean your score is affected. As I have said it's really not possible to predict score or penalties here without hearing you test, and we can't do that. And you are marked over the whole test on a variety of criteria. Today I had my IELTS speaking test, in Part 2 I got a topic "Describe a situation that you were pleased to have mobile phone with you". But I misunderstood the topic and I kept talking on the embarrassing situation I had because of my phone ringing (I was at cinema and phone rang). How will it affect my score? As I've said on here it's impossible to predict if or how something you did in the speaking test may affect your score. You are marked over many criteria throughout the whole test. It's also impossible to predict how an examiner may have judged it as it's quite subjective as to what extent what you said was on topic or not. I have my speaking test today. Good day and compliment of the season. I went for my speaking test today, I made a mistake about weather. The examiner was asking about how whether affect people working in the office and I was talking about raining and dry season instead. other parts went well. I don't how this may affect my bands. I had my speaking test today. I wasn't sure if part two was to talk about a 'role' or a 'rule' u had at school. I ended up talking of being responsible of the class for a month and how each student did that. Is that considered off topic? And do I get low score for doing that? Comments for Role or Rule? It's not possible to know whether it was off topic or not as you are not sure if it was 'role' or 'rule'. It sounds like you spoke about a 'role', so if the question was about 'roles' you were on-topic but if it was about 'rules' you were off-topic. But either way, the part 2 is quite subjective so it's really not possible to give any indication as to what kind of score someone may get. You'll just have to wait for your result. Today was my Ielts speaking test and in speaking part 2 i made a blunder. My question was "a competition you would like to take part in"
I panicked and misunderstood the question and i gave answer and explained "a competition i took part in, in the past" i was fluent though. How much it will effect my result. Will i get a poor score? Don't worry it's not likely to affect it. In my part 2, I was supposed to talk about something I borrow but I ended up talking about something I LEND. I was so nervous that I totally misunderstood, but I know the difference. How this mistake will affect my scores? Will I fail? You can't fail the speaking test as you are just given a band score. It's really impossible to know without hearing your test how you did.